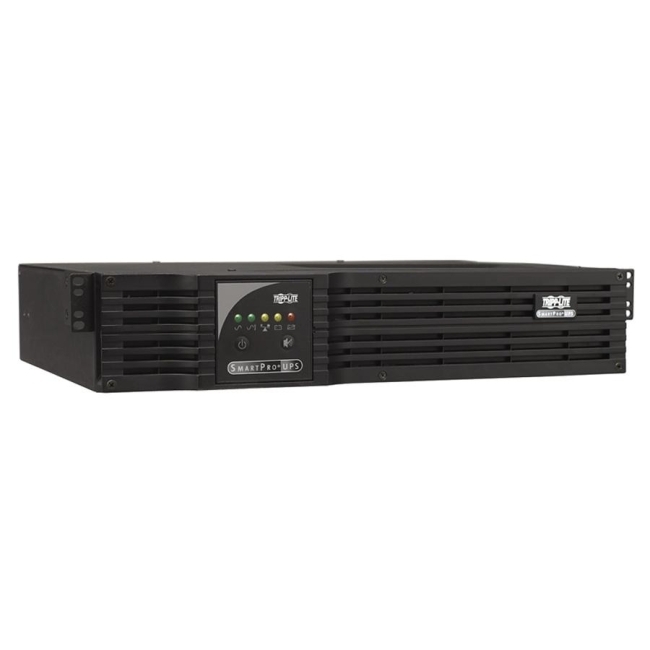 Tripp Lite's SMART 1500RM2U intelligent, line-interactive sine wave rack/tower uninterruptible power supply prevents data loss, downtime and equipment damage due to power outages, voltage fluctuations and transient surges. Requires only two rack spaces (2U) in a standard rack enclosure. Large internal batteries offer 19 minutes half load runtime and 7 minutes at full load. Maintains regulated 120V nominal output. 1500VA/1000 watt power handling capability and full time sine wave output. Includes a total of 8 outlets arranged in 2 load banks that are individually controllable by a software interface to reboot select equipment on demand or shed less significant loads to extend battery runtime for more critical equipment. Optional SNMPWEBCARD accessory enables remote monitoring of UPS as a managed device via network management console applications. Includes PowerAlert UPS monitoring and unattended shutdown software. 2 Year Warranty standard. 3 Year Warranty with product registration. Status Indicators: 5 front panel LEDs - Green POWER LED, 3 color BATTERY CHARGE LED, 3 color OUTPUT LOAD LEVEL LED, red BATTERY WARNING LED. System Requirements: TYPICAL APPLICATIONS: Ideal for rackmount or upright tower protection of fileservers, network accessories and telecommunications equipment in server rooms, internetworking closets, co-location racks, kiosks and a variety of other locations. Common applications include any mix of servers, workstations, hubs, routers, concentrators, IP telephony and traditional PBX switching systems.